Daniel Mandrychenko is a multi-genre pianist that currently resides in the San Francisco Bay Area. A Cal State East Bay grad, he is an active member of the area’s jazz community, and has played at almost every major venue in the Bay Area, including Yoshi’s Jazz Club, Brick and Mortar Music Hall, Bottom Of The Hill, and Savannah Jazz Club. Daniel has also performed as a member of various groups as a part of the San Francisco Jazz Festival, Next Generation Jazz Festival, and Reno Jazz Festival, among others. He has shared the stage with Dave Liebman, Marcus Printup, Brad Leili, and Charles McPherson. The young pianist has been an active member of the Bay Area music scene since his early days of high school, playing in the SFJAZZ All-Stars and other honor groups throughout the Area. He has also toured the Western United States with his own rock band. Hsin-Yee Shih began her musical training in her native hometown, Tainan, Taiwan, where she studied both piano and oboe and was exposed to both western and traditional Chinese music. Upon immigrating to the US in 1994, Hsin-Yee started to take private piano and oboe lessons, theory, and chamber music classes at the Preparatory Division of the San Francisco Conservatory of Music. She also joined the Oakland Youth Orchestra in the same year. Prior to going to the Peabody Institute of the Johns Hopkins University in Baltimore, MD, Hsin-Yee performed as a soloist with the Oakland Youth Orchestra (oboe), and the San Francisco Concerto Orchestra (piano). 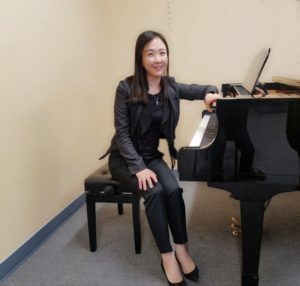 Hsin-Yee got her Bachelor Degrees in both Piano and Oboe Performances and her Masters degree in Piano Performance from the Peabody Institute. Hsin-Yee has completed all the requirements for the preliminary California Teaching Credential. Hsin-Yee has served as a staff accompanist for the Peabody Preparatory in Baltimore, and the Ohlone College in Fremont, CA. She is the music director for the American Buddhist Culture Society Youth Orchestra. She has been teaching piano since 2005. 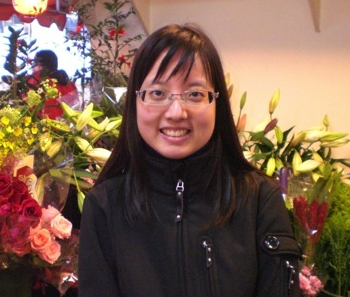 Hsin-Yee is a patient teacher; she enjoys guiding students on the path of becoming better musicians. Jiyeon Lee is a professional pianist who graduated from Yonsei Universeity (South Korea) in Piano performance and accompaniment(MD). Also, she has briefly studied at the Manhattan school of Music in New York. As a pianist, she was a member of Korean chamber Orchestra and performed at concerts for Seoul Philharmonic Orchestra, Busan Philharmonic Orchestra, and Kazakhstan National Conservatory to name a few. Her teaching experiences was gained from teaching piano at Busan Middle School of Arts, Busan High School of Arts, Kookmin University, etc. in Korea and currently she is enjoying teaching students in SF bay area.